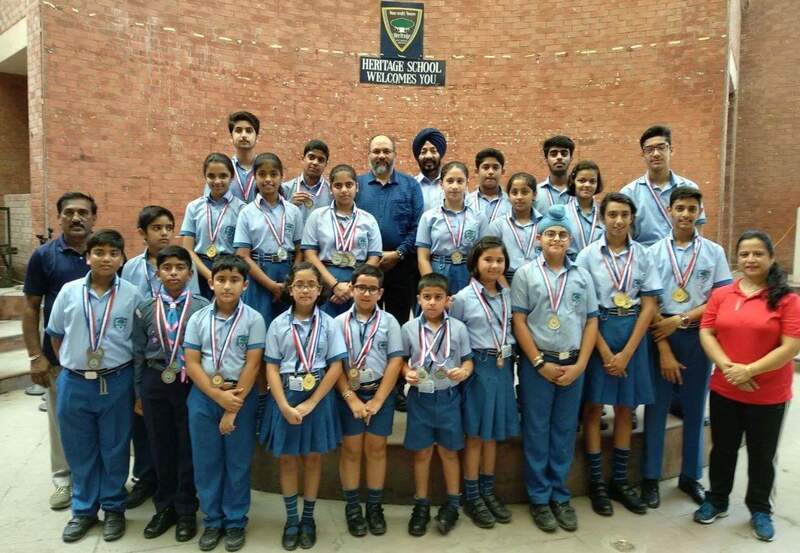 The Heritage Swimming team brought laurels to the institution by their exemplary performance in Inter - School Swimming competition held at Jodhamal Public School from 24th Aug. 2018 to 26th Aug. 2018. Heritageans bagged overall 2nd position by winning 10 Gold, 14 Silver and 11 Bronze Medals. Principal and the staff congratulated the school swimming team on their remarkable achievement.